Did you know that 25-30% of all homeless pets are purebreeds? If you have your heart set on a particular breed, you can still choose the adoption option! Below are several ways to locate the breed of your dreams. Its easy to find a particular breed by browsing Petfinder.com. Simply enter in the breed you are looking for and Petfinder.com will search all the local shelters and rescue groups in the area. You can also enter specific criteria such as age and gender. 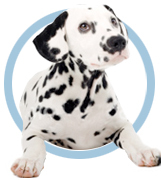 Petfinder rates each pet and lists characteristics such as whether the pet is good with kids, compatible with other pets, etc. Not all animals are posted on Petfinder.com, however, so you should consider calling or visiting shelters directly if you don’t find what you are looking for. Remember, at least one out of every four shelter pets are purebreds, so its just a matter of time until you find what you are looking for. Another option is to call a local rescue group. (See the list to the right.) The benefit of working with a rescue group is that each animal lives in a foster home and its behavior and health history is completely known. They also come with complete veterinary records. Best of all, rescues are experts at making excellent matches!